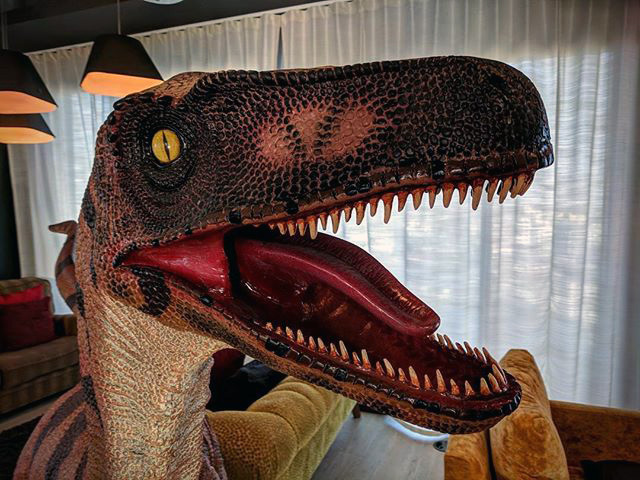 Here is a photo I spotted on Instagram from Olivier Ansaldi of a large Velociraptor inside the Google office. Of course it is pretend but why put such a large dinosaur inside the office? Well, it is Google. A Velociraptor is about the same size of a human in length. Wikipedia said it is a genus of dromaeosaurid theropod dinosaur that lived approximately 75 to 71 million years ago during the later part of the Cretaceous Period. This is not to be confused with Stan at the GooglePlex.